I am sort of taking a flyer this week. Things have been pretty busy around here. My younger son, Colin, graduated from law school on Sunday and, in celebration, on Monday morning the four of us in our family -- Pat, me, Devon and Colin -- took off for the Virgin Islands, accompanied by Colin’s significant other Kyle. We met my brother Graham and his wife Nikki in St. Thomas, ferried over to Tortola, in the British Virgin Islands, and on the day of this posting we are all ensconced in a rental villa, SummerSalt, situated just above Smuggler’s Cove. Nice thing about traveling with 7 people -- renting a villa turns out cheaper than staying in a hotel! Where are we? well, if you have never been to Tortola, it is just across Drake’s Passage from St. John's, which was the setting for David Edgerley Gates’ last article, The Beachcomber. Anyway, rather than throwing something together for SleuthSayers this week I am “on holiday.” So, instead, I am posting the article I wrote last summer for Something Is Going to Happen, the Ellery Queen Mystery Magazine blog. The article reviews the history of Ellery Queen pastiches that have appeared in EQMM over the years, and as such, is a bit of an introduction to my next Queen pastiche, Literally Dead, which (Janet Hutchings advises) should be included in the December, January or February issue of EQMM. You can rely on the fact that I shall keep you posted as to the exact issue! Last May 25 a new anthology of Ellery Queen stories was published. Before stalwart Queen fans, especially those in the English speaking world, set their hopes too high, this volume, The Misadventures of Ellery Queen, published by Ronso-Sya, has been released in Japan and contains stories that have been translated into Japanese. It is worth a pause, here at the beginning, to reflect on how popular the works of Ellery Queen remain in Japan. Iiki Yusan, the editor of the new anthology, is the president of the Ellery Queen fan club in Japan and has also authored book-length Japanese critiques of the works of Ellery Queen, including Ellery Queen, The Perfect Guide (2004) and Reviews of Ellery Queen (2010). Unlike the United States, where it has been virtually impossible to find a newly published Ellery Queen novel or anthology, in Japan the entire Ellery Queen library is readily available in current editions. The Misadventures of Ellery Queen also contains no stories by the creators of Queen, Frederic Dannay and Manfred B. Lee. 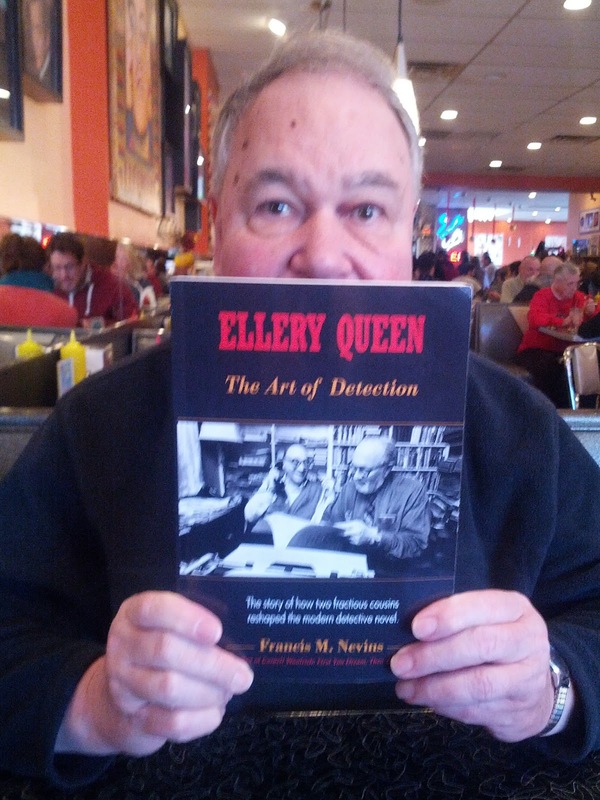 Rather, it is comprised of Ellery Queen pastiches, that is, mysteries that have been written by other authors, myself included, who have attempted to emulate the Queen style and formula in new stories featuring Ellery. 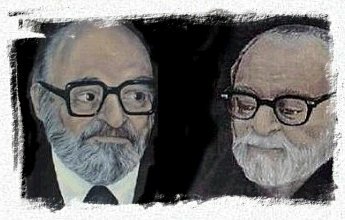 It is not unusual to find popular detectives re-born in stories penned by authors other than the original creator of the character. The classic example is Sherlock Holmes, who has lived on over the years under the supervision of a host of authors other than Arthur Conan Doyle. Indeed, in 1944 The Misadventures of Sherlock Holmes, edited by none other than Ellery Queen, collected in one volume various Holmes pastiches. While we still do not have a definitive English language companion collection of Ellery Queen pastiches, it is fitting that notable Queen pastiches have at least now been collected in Japan, where there is a devoted following. Let’s pause again here to reflect on what a pastiche is, and what it is not. If you Google “pastiche” looking for a definition, one of the first you will find is this: “a work of art that intentionally imitates other works, often to ridicule or satire.” As seems true of a lot of internet research, to my mind the definition comes close but ultimately misses the mark. Not surprisingly the definition I prefer is one penned originally by Frederic Dannay, writing as Ellery Queen. According to Dannay “a pastiche is a serious and sincere imitation in the exact manner of the original author.” The readily apparent distinction between these two definitions is that the former includes the parody – since it invites “ridicule or satire.” In the latter, Dannay correctly excludes both. Nothing against parodies – by all accounts Frederic Dannay and Manfred B. Lee liked parodies as well, and many Ellery Queen send-ups have appeared in EQMM over the years. But while the parody can easily bring forth a laugh, it is the pastiche that has the potential to tug at the heart by offering up new life to beloved literary characters who we feared were lost to us forever. The pastiche, then, consistent with Frederic Dannay’s definition, requires a more structured approach than does the parody. My own rule for constructing a pastiche is also the cardinal principle of the medical profession – “first, do no harm.” If you are writing new stories carrying forth someone else’s character, that character should be recognizable and ring true throughout the story. Frederic Dannay was a huge fan of the pastiche and did much to popularize the genre. It should therefore surprise no one that Ellery Queen Mystery Magazine has a long history of publishing pastiches, including salutes to Sherlock in EQMM’s annual Sherlock Holmes edition. Equally unsurprising is the fact that EQMM over the years has provided a continued life to Ellery himself in a variety of pastiches that offer new adventures featuring the magazine’s namesake. This has provided the opportunity for a number of noted mystery writers to step up to the plate. Francis M. Nevins, who knew Frederic Dannay well (and has, in fact, described him as the grandfather that he never had) contributed one of the earliest Ellery Queen pastiches, the classic Open Letter to Survivors (EQMM May, 1972). In Nevins’ story the entire plot derives from the following obscure sentence that appears in the 1948 Ellery Queen novel Ten Days' Wonder: “There was the case of Adelina Monquieux, [Ellery’s] remarkable solution of which cannot be revealed before 1972 by agreement with that curious lady's executors." In Nevins’ pastiche, which plausibly spins out the story hinted at in Ten Days’ Wonder, the young detective is never identified by name. But it is evident that Nevins’ hero is Ellery. 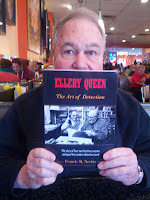 Jon L. Breen has authored both parodies of Ellery Queen – his The Lithuanian Eraser Mystery" (EQMM March, 1969), featuring E. Larry Cune is an example – but has also penned true Queen pastiches, such as the Gilbert and Sullivan Clue (EQMM September, 1999), where Ellery uses his intellect to outsmart a murderer while at sea. That same issue of EQMM, celebrating the 70th anniversary of the publication of the first Queen novel, The Roman Hat Mystery, also offers an Ellery Queen pastiche by Edward D. Hoch, The Circle of Ink, which features Ellery and the inspector confronted with a murder in a university setting. In his final Ellery Queen pastiche Edward Hoch revisited one of Ellery’s favorite locales in The Wrightsville Carnival (EQMM September/October 2005), a story offered as part of the magazine’s celebration of the centenary of the births of Dannay and Lee. In each of these stories Ellery rings true: we encounter him as we would an old friend. To the reader he is the same character created by Dannay and Lee. It has been one of the great joys of my life that I have had the privilege to meet and visit with Mike Nevins, Jon Breen and the late Ed Hoch. In knowing them I feel that I have known Ellery as well. 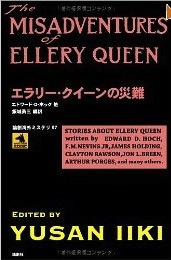 With the exception of The Mad Hatter’s Riddle (which is premised, in part, on a poem that would lose a lot in the translation) and the then-unpublished Literally Dead, all of the foregoing Ellery Queen adventures (and more) are now available together in hardcover, at least in the Japanese market. The rest of us just have to continue to wait and hope! What do each of the stories have in common, and what separates them, as pastiches, from parodies or satires? The answer has already been suggested. Further hints can be gleaned by examining some of the synonyms commonly used to define the word “pastiche.” James Lincoln Warren, who has also authored pastiches, in his now-retired Criminal Brief blog often referred to this genre of fiction as “tributes.” Another commonly used synonym for “pastiche” is “homage.” These words, I think, help to add the requisite heart to the matter. We who have chosen to write Ellery Queen pastiches are not parodying the Queen formula. Perish the thought! In fact what we do is reverential -- we are striving to emulate Queen, and thereby keep Ellery and the inspector around for just a little while longer. Those of us who labor trying to bring back Ellery, or Sherlock, or Nero for new adventures do so because we simply can’t stand a world without them. We are, after all, still in love. Dale, I used to read Ellery stories over and over because I enjoyed them so much. Thanks for the informative article, and have a great trip! Thanks also to those who commented on my blog yesterday. I've been sick and didn't get to the computer all day, but I'm feeling better today. Thanks for reprinting this, Dale. I missed it when it ran on the EQMM blog. I totally agree with your definition of pastiche. The secret ingredient is the affection the pastiche author has for the original. The absence of that "heart" is what causes so many reboots to fail, from movies like THE AVENGERS and WILD WILD WEST to the Broadway musical version of THE THIN MAN. Congrats on the graduation. I have to disagree on your definition of pastiche. To me a pastiche can,t be merely the 57th Sherlock Holmes story or the 34th Nero Wolfe. I would call than an imitation, not a pastiche. To me a pastiche has to be a reboot, a rethink of the concept in some way. Take Meyer's The Seven Percent Solution; not just a new Holmes story, but something Doyle never tried. Likewise, Goldborough's new Wolfe novels are, to me, not pastiches, but Lawrence Block's Leo Haig stories (about a man who wants to be Wolfe and copies his style)> are. But that is just me. Why Didn't They Just Leave?